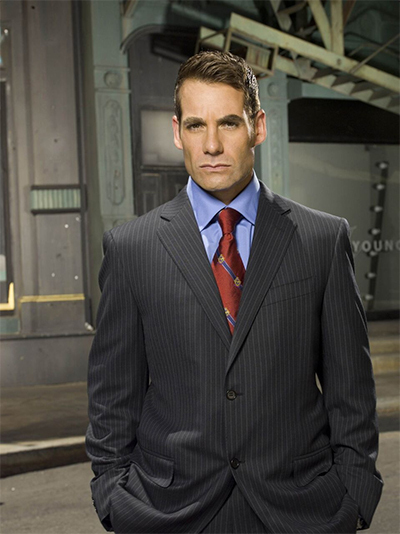 Adrian Pasdar has established himself as one of the finest and most versatile actors on the scene today. Taking on challenging roles and projects, Pasdar has carved out a diverse career in movies, television and on stage. Pasdar is currently gearing up for season six of Marvels Agents of S.H.I.E.L.D. on ABC as the bracingly funny Col Glenn Talbot who at the end of last season transformed into the the Marvel character GRAVITON. Adrian has also been recurring as Morgan Edge in the CW’s Supergirl which is about to start filming season four. He recently spent two seasons playing Nolan Burgess on the USA cable series Colony as well as the film Coming Through the Rye and a starring role in the ABC pilot Kingmakers. Pasdar also starred for four seasons on the hit NBC series Heroes playing the flying Senator Nathan Petrelli and two seasons on the ABC Family series The Lying Game and title role in the cult series Profit for Fox.Voice over is also a vital part of Pasdar’s talent as he was the voice of Iron Man on four animated series, most notably Avengers Assemble for three years and still recurs on Disney XD’s series Milo Murphy’s Law. On stage, he appeared in the production of the musical Atlanta at the Geffen Playhouse. Pasdar was the co-writer of the musical with Grammy award winning composer Marcus Hummon and Adrian co-directed the musical as well. Feature films include starring roles in the fan favorite Near Dark as well as Carlitos’s Way, Cookie, Just Like a Woman, Vital Signs. and Second Hand Lions. Pasdar directed the independent film CEMENT starring Jeffrey Wright and the late Christopher Penn which collected the Grand Jury Prize for Best Feature Film at the Houston Worldfest in 2000. Additional theater credits include New York theater productions of On the Waterfront and the Obie Award winning Aven’ U Boys.